Not to be outdone by the PlayStation 3 Slim by gaming console rival Sony, Microsoft unveils it’s latest update to the XB0x 360 console. Redmond describes the new model as “sleeker, smaller, whisper-quiet.” The arrival of the new 360 model lines itself with the company’s upcoming release of it’s motion controller peripheral, Project Natal, now known as simply Kinect. Oh, and custom memory cards like the ones made by Datel are incompatible with the new XBox 360 model. Full Specs after the jump. Wi-Fi – Built-in 802.11n Wi-Fi for fast, easy connection to your friends and entertainment on Xbox LIVE. Hard Drive – 250GB internal, swappable hard drive for even more storage. To access, remove the bottom panel by pushing the small tab toward the front of the console. Kinect-ready – Custom Kinect port on the back of the console that directly hooks up to the Kinect sensor for controller-free fun. USB Slots – Five USB ports, three in the back and two in the front. Power Supply – Smaller and more efficient. Xbox 360 250GB and Xbox 360 Original power supplies are not interchangeable. Wireless Controller – The award-winning Xbox 360 Wireless Controller matches the console in all black with color-matched thumbsticks and directional pad with a touch of gloss and chrome to complete the look. 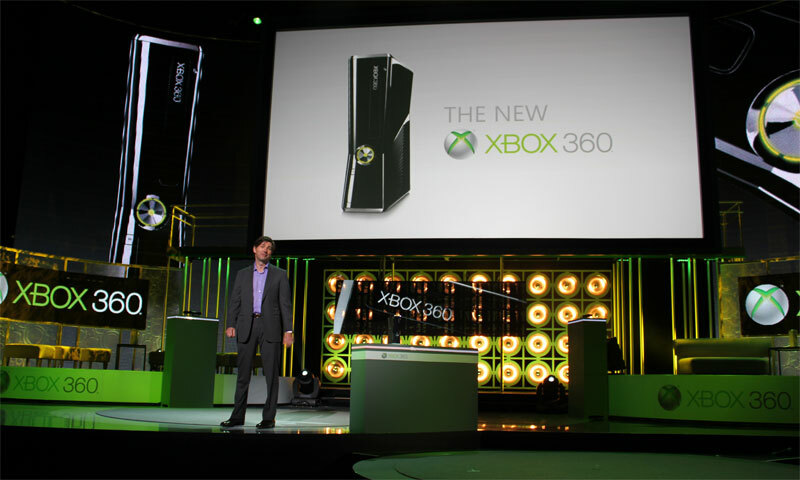 Backward Compatible – Your favorite accessories and games will work with Xbox 360 250GB. 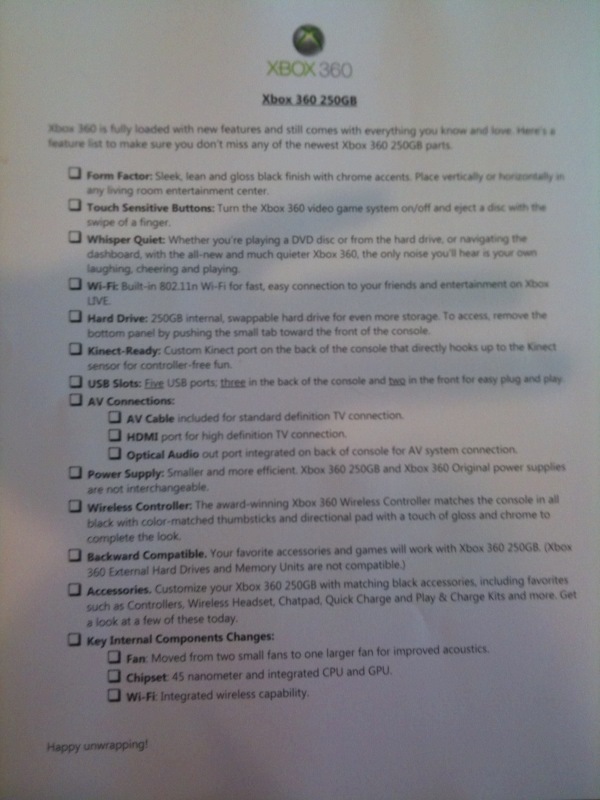 Xbox 360 external hard drives and Memory Units are not compatible.